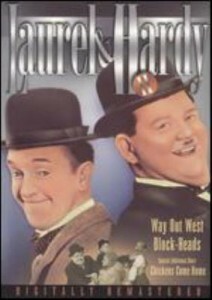 In Way Out West, Laurel and Hardy are at their comedic best as would be gold miners on a mission to deliver the deed to a rich gold mine to the prospector’s daughter, Mary Roberts. Perfectly timed slapstick ensues when the deed is stolen by Mary’s unscrupulous guardian and our two hapless heroes must get it back. Particularly charming is Laurel and Hardy’s saloon door soft shoe. I will watch any movie starring Johnny Depp, so although this one wasn’t well received, I watched it. In The Lone Ranger, Tonto (Johnny Depp) recounts the untold tales that transformed John Reid (Armie Hammer), a man of the law, into the legendary Lone Ranger. In this telling, Tonto is no sidekick, but rather a full character equal to the Lone Ranger. In a lot of ways I wasn’t disappointed. It is action-packed! And the special effects are spectacular! However, it does tend to be gruesome and violent. While this aspect is integral to the story, I doubt that it was necessary to have a villain who cut out human hearts and ate them. This film is a lot of fun and can be thoroughly enjoyed with the right perspective. 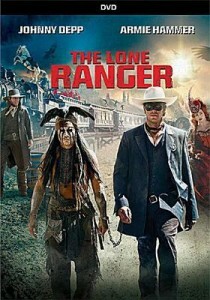 Johnny Depp as Tonto and Armie Hammer as The Lone Ranger give fine performances. In fact, The Lone Ranger has become one of my favorite Johnny Depp movies. There is a lot of humor in this film especially between Depp and Hammer. There are two main villains in this film, Butch Cavendish (William Fichtner) and the other I won’t say because that would be giving too much away. And the two villains are thoroughly despicable. The film was nominated for two Oscars including Best Achievement in Visual Effects. And that nomination is well deserved. While some of the action scenes are impossible, just sit back and enjoy them as they are spectacular. The Lone Ranger is a western and an adventure film, but it is also a fantasy film. When I saw this film, I was prepared to be disappointed as I was a Lone Ranger fan when it was on television in the 1950s, and I have been very disappointed in many movies based on television shows. And a lot of the reviews were very critical. But unless you are a Lone Ranger purist and you do one simple thing, you will probably get a great deal of enjoyment out of this film. One of the criticisms of this film is that it is too long. When I saw it the first time, I took a break to have dinner after about an hour and ten minutes into the movie. When movies were very long in the 1950s and early 1960s, movie makers had the good sense to interrupt the film with an intermission. The film probably would have done a lot better at the box office if the producers had installed an intermission. But you as a viewer watching it on DVD, you can impose your own intermission. Also Lone Ranger fans, the film includes the William Tell Overture but you have to wait for it. One more word of warning: this film could be pretty intense for younger viewers. That said, the rest of you should saddle up as this movie is a great ride. This TV western ran six seasons from 1957 to 1963 and starred Richard Boone as Paladin and Kam Tong as Hey Boy. During its six year run, it was ranked 3 or 4 during its first four seasons. It was during the time that westerns were occupying more than half of the spots in the top ten and top twenty ratings. But Have Gun Will Travel was different from other westerns. Paladin was a hired gun with an education. He was a sophisticated man who knew his Shakespeare, loved poetry, opera, classical music, art, the theater, history, spoke several languages, seemed to know about all cultures, was well traveled, knew chemistry and physics indeed an Everyman or Renaissance Man. Although he charged huge sums for his services, he occasionally charged little or even donated his services for a worthy cause. When not working he lived in a posh hotel in San Francisco where he dated beautiful women, drank the finest wines, liquors, and whiskeys and hence he need to charge large fees for his services. When he was working, he dressed all in black. Although his gun was for hire, he refused jobs that required him to commit murder. He was an expert with his gun, with a rifle, knife or sword, and his fists as well. He treated people of different cultures, races, or religions with respect and admiration. Although Hey Boy’s name is dismissive and his job as bellboy is humble, Paladin always treats him with the greatest of respect. Many of the guest stars who appeared on the show went on to big screen careers: Charles Bronson, Warren Oates, James Coburn, and Lee Van Cleef to name a few. Other more established actors such as Victor McLaglen, Ben Johnson, Jeanette Nolan, Lon Chaney Jr., Vincent Price, and John Carradine also appeared on the show. The show featured many actors who would have leading roles and/or major supporting roles in major television shows: Denver Pyle, Ken Curtis, June Lockhart, Harry Morgan, Angie Dickinson, and Jack Lord. Finally, the show featured dozens of character actors who had lengthy careers in film and television: Robert Wilke, Hank Patterson, Strother Martin, Leo Gordon, Jack Elam, Anthony Caruso, Ralph Moody, Royal Dano, Dabbs Greer, Joanne Linville, Bob Steele, Claude Akins, John Dehner, Elinor Donahue, and dozens of others. The episodes are wonderfully written and are unique and yet some episodes are transposed from classic works of literature. Some of the episodes were written by Gene Roddenberry of Star Trek fame. Even the closing theme the Ballad of Paladin is wonderful and was appropriately written by a man named Johnny Western. In The Gunfighter, Gregory Peck demonstrates that being the best gunfighter is not all it’s cracked up to be; you just can’t quit. Jimmy Ringo rides into his hometown, hoping to find his wife and child. He is tired and wants to settle down. Wherever he goes, some young buck challenges him. His hometown is no different. 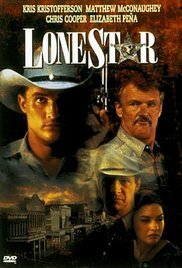 Of the three westerns I watched, this movie is the most realistic. The Old West loses its glossy Hollywood veneer. Check out The New York Times review of the film. Here are three movies set in the west, each with different and distinctive theme (see reviews of The Big Country and Duel in the Sun). Peck is said to play most of the scenes without a double. He claims he could do a running mount. I’m impressed. This western stars John Wayne, Dean Martin, Walter Brennan, Ricky Nelson, and Angie Dickinson. It is my all-time favorite John Wayne western. Rio Bravo is a straightforward story about a sheriff (Wayne) and his deputy (Martin) who have arrested Joe Burdette for murder. Joe is a nasty piece of goods but his brother is a wealthy rancher who will resort to any means to free his brother and to having the lawmen killed, as they are the only witnesses who would testify against Joe. There is plenty of action and some wonderful songs sung by Martin and Nelson. Brennan provides a lot of comedy and is ably supported in this by Martin, Dickinson, and Wayne. Angie Dickinson flirts shamelessly with Wayne and they have several wonderful scenes together. Joe Burdette is well played by character actor Claude Akins, who specialized in playing brutal and sadistic types in the 1950s and 60s. I had been meaning to write a review of this film for some time but I was inspired to do so after viewing The Artist (2011). So what does this silent academy award winner have to do with Rio Bravo? I had seen a special on the making of Rio Bravo and it was pointed out that there is no spoken dialogue in the first five minutes of the film. I had seen the film many times before and had never noticed that. I watched the film again and sure enough, none of the main actors in the opening scenes have any spoken lines. Martin, Akins, and Wayne are communicating with gestures, body language, and facial expressions only, and yet you know what they are saying and what they are thinking. Even if you don’t like westerns, you must watch the first five minutes of this film to appreciate the pure acting that is going on. This is a wonderful film from beginning to end. For more about the film, check out articles from Roger Ebert, The Guardian (UK), and Turner Classic Movies. The Outlaw Josey Wales stars Clint Eastwood as a Missouri farmer whose family is brutally murdered by Union soldiers and who refuses to surrender when the war is over. Josey Wales is a feared gunslinger who “lives by the feud,” and as he is hounded by the same men who killed his wife and child, he unwillingly picks up other outcasts (two Indians, some ambushed settlers, and a mangy dog), who grow to become his new family. Beyond being a classic Western with plenty of action, this movie boasts an excellent script—every word is a quote. Josey’s Indian companion gives some mild comedic relief in this tale of life and death, of revenge, of starting a new life. It is my favorite movie. For a look back on the film, check out this article from TCM. Find other classics westerns available at the library.